Much of traveling involves purchases from local merchants. What we take home from our trips around the country - the pasalubong - reflects the local ingenuity in culinary or craftsmanship (or others) that the destination has to offer. The way to see it - pasalubong and souvenir shopping is a way to help out the community in your own little way. Travel find: I'm a fan of handwoven stuff! Not everyone has the luxury to visit the country's 17 regions; 80 provinces. Even so, there's a way to get a good taste of what these destinations have to offer. "Where the best of the Philippines meets the rest of the Philippines"
SariSariStore.com, an e-commerce platform by Simplesoft CEO Erneil DyLim, recently launched its premium local storefront - 1780. The concept behind it, as you may have guessed, is to help out small-scale entrepreneurs across the 17/80 - giving more importance to poverty, conflict and disaster-stricken areas. By providing this online marketplace, micro-entrepreneurs may now have a wider consumer base. I'm all for the same cause. Not only does 1780 (read: seventeen-eighty) help sustain the community's cash flow, it also helps preserve and develop the quality of craftsmanship in each locality. Case in point: the handwoven T'nalak cloth of the T'boli tribe. What was once accessible only through a personal visit to Lake Sebu in South Cotabato, may now be purchased by the meter online. 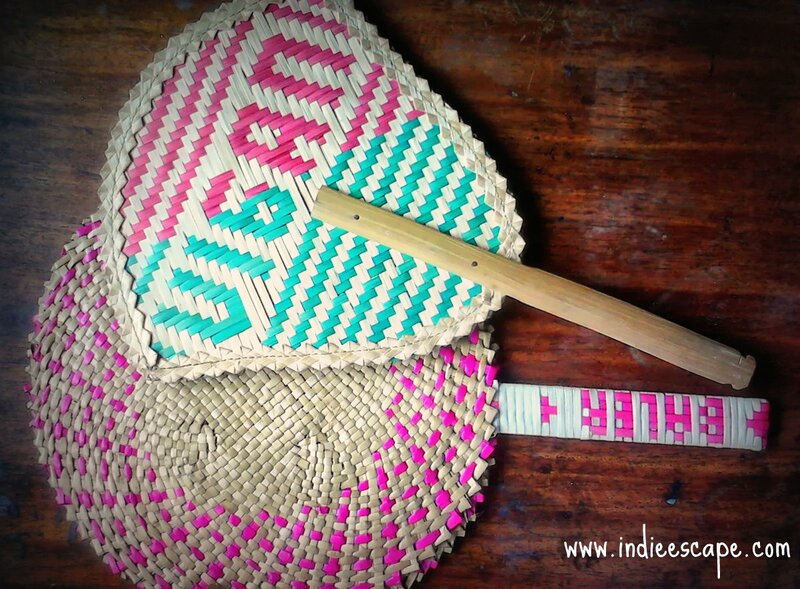 Creating this kind of demand is essential to keep the T'boli Dreamweavers' craft from becoming a lost art. What differs 1780's products from commercialized ones are the stories behind them. These goods are carefully sourced from promising start-ups to businesses that have thrived for generations in their respective regions. From the site's Entrepreneurs section, buyers have the opportunity to get to know exactly the people and the story behind every item they wish to purchase. 1780 takes pasalubong shopping to the next level. It's not just about impulse buying in a tourist gift shop and you don't have to worry about baggage space either. Here, goods are accessible anytime of the year; whether you're craving for a yummy Pili Nut snack or you're looking for a perfect send-away gift for a beloved balikbayan. Brand architect Amor Maclang ecourages everyone to make "Local as the new Premium"
This launch couldn't have come in a better time as Christmas is fast approaching. Gift-giving will be more meaningful by purchasing from one of the featured entrepreneurs of 1780. Working alongside 1780's merchants are established Philippine artisans in their own field. Patti Grandidge of Sweet Patti Cakes has whipped up a limited edition cupcake using Kablon Farm's chocolate as a main ingredient. Amina Aranaz of Aranaz brand will also be releasing a bag design in collaboration with one of the merchants to be sold exclusively on 1780 by SariSari. To celebrate this launch, I will be hosting a blog giveaway! Follow @IndieEscape on Twitter and Instagram for the announcement.